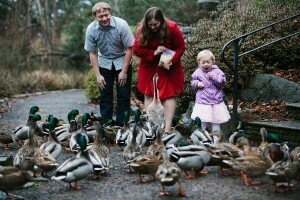 I went to high school with Kristin back in the day in Tacoma, Washington, and this morning I got to meet her beautiful family at the Rhodie Gardens for some wintertime family portraits. We lucked out and spent a warm-ish, not-rainy hour feeding ducks, watching birds, and dancing on the bridges. A. 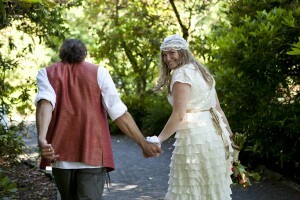 & E.’s barefoot garden wedding, part two — the party! Here’s the rest of A. & E.’s beautiful wedding — featuring a bazillion awesome toasts, a kickin’ band, a puppet show, acrobatics, kazoos galore, dancing, more dancing, and a brass band parade to end the night. Enjoy! Coming up in part two: the reception! Toasting! Dancing! Music-making! A. 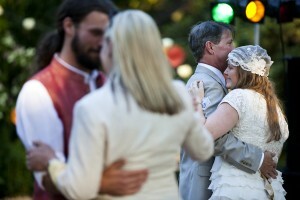 & E. — first kiss / flower puppies / first dance! Just a few quick photos from A. 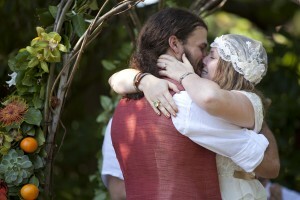 & E.’s gorgeous wedding on Saturday before Andrew and I take off on honeymoon part 2!